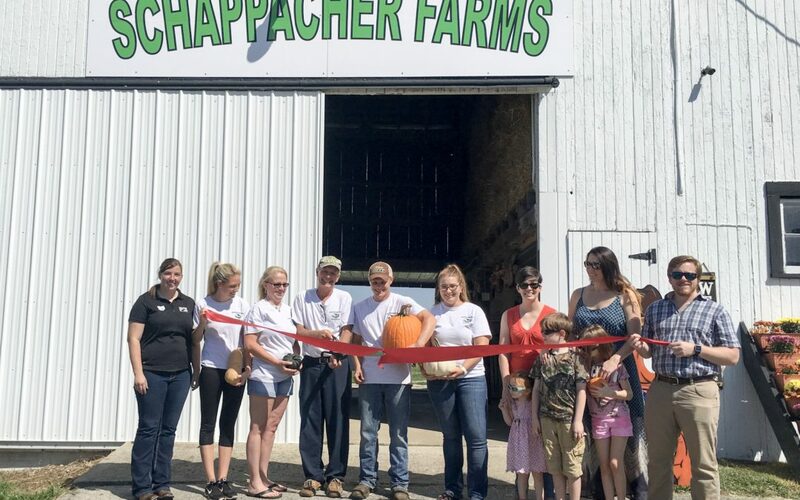 The Wilmington-Clinton County Chamber of Commerce held a ribbon cutting ceremony celebrating the opening of Schappacher Farms on Saturday, September 23. Schappacher Farms is located at 3068 W St Rt 73 in Wilmington. Schappacher Farms is a family owned operation based on 50 acres in Wilmington, Ohio. We provide pick your own pumpkins, free hayrides, corn maze, thanksgiving turkeys, group tours and more! We love to open our farm to customers and visitors throughout the year not only to provide food products but agricultural education as well! We love to see new and old faces and allow customers to put a farmers face to the products they eat, and ask questions! We pride ourselves in our fresh products, animal care and customer service as well as allowing visitors to have affordable food and family fun while still keeping the family farm atmosphere we love. 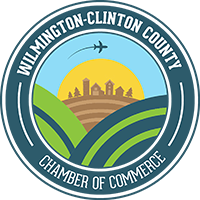 For more information about Schappacher Farms, visit their Chamber profile (CLICK HERE).